My wife, the children and I found our first group of juvenile Ring-billeds on the 4th of July this year. As has become our habit for the last few summers, the family and I specifically go looking for juvenile Ring-billeds together in late June and early July - a somewhat peculiar family tradition to your average Joe. We literally scour local lakes, parks and mall parking lots seeing who can spot a juvenile first. This year we spotted them at the same time. First one, then four, then eight and finally a high count of 11. Juvenile Ring-billed Gull. Blue Island, IL. 04 July 2013. 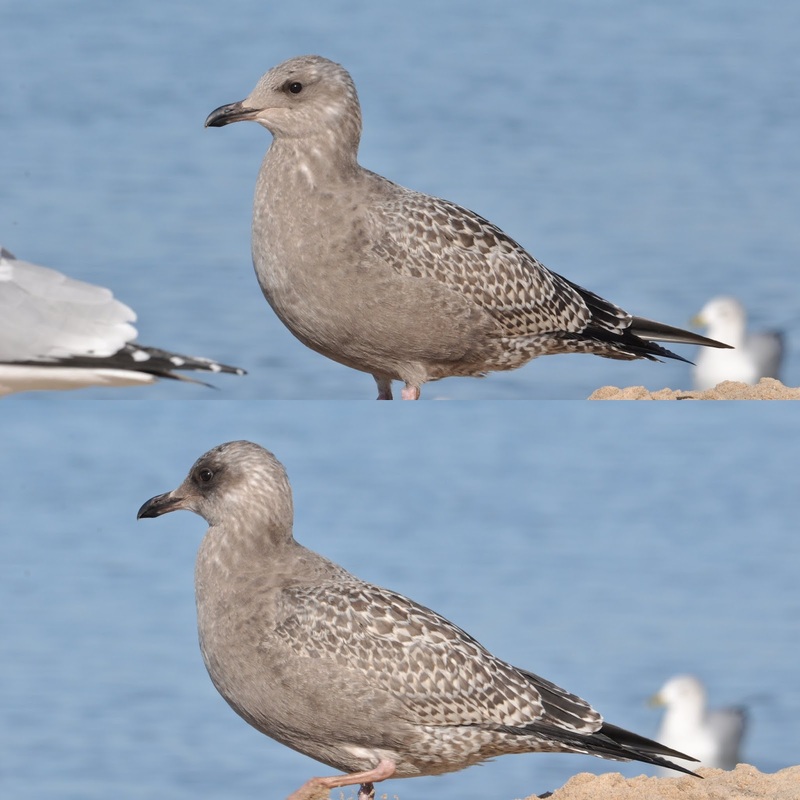 Of all the world's gull species, Franklin's Gull is the only one that is known to replace all of its feathers twice a year (complete prebasic and prealternate molts). It's said that this phenomenon is more common in adults than in first cycle birds. 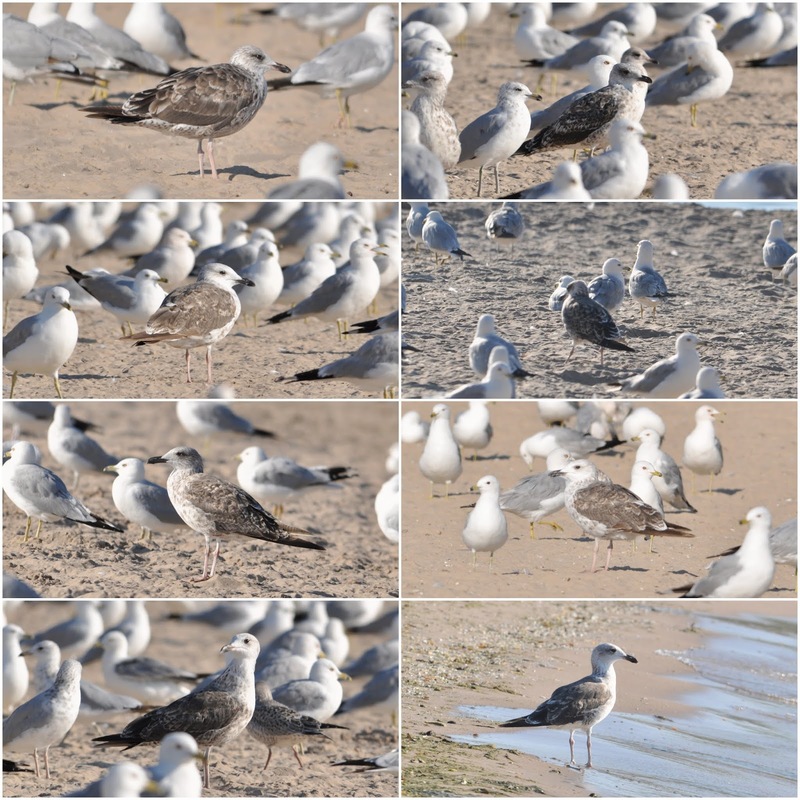 Seeing a northbound Franklin's in migration, therefore, is somewhat of a unique experience as it provides the observer with an opportunity to asses whether a complete prealternate molt took place on the wintering grounds, or, if the molt is suspended, or never took place at all. Of course the prealternate molt can be ongoing at stopover sites during migration. Franklin's Gull. LaSalle County, IL. 04 July 2010. First alternate primaries (P1-P7). Notice the three outer primaries (P8-P10) are juvenile. 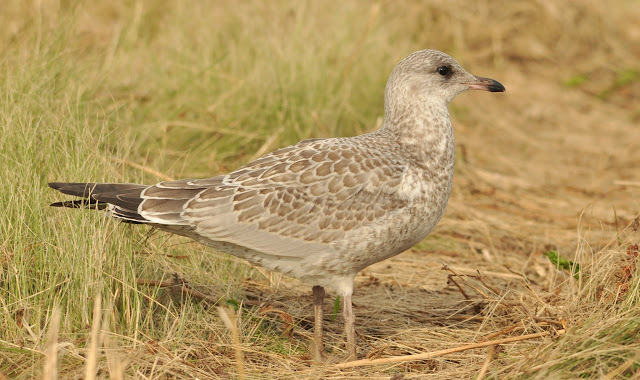 Most of the secondaries are also juvenile feathers. The prealternate molt (incomplete here) likely took place on the wintering grounds, and now "appears" suspended. But could it be that this molt is not suspended at all? Franklin's commonly grows out its primaries at a relatively slow rate, fully growing one primary at a time before dropping the next. It could be that this individual is roaming the interior (i.e., south of the breeding grounds) and has resumed its molt. In any case Olsen and Larsson note that primary molt picks up again in July in these first alternate birds. The first 6 primaries are fresh, while the outer four (P7-P10), appear to have worn tips. They certainly look like they're 2nd generation primaries. The gray on the bases of these feathers seems too extensive and adult-like for juvenile feathers, yet the gray tongue tips do not show any sign of a white medial band that would suggest an older bird (less black in the wingtips and more white on the tongue tips is thought to be an age-related characteristic in this species). After giving the puzzle-bird some thought, I guessed that it may not have molted any primaries in PA1. This is not unheard of especially with birds that winter farther north. Franklin's Gull with puzzling outer primaries.. Chicago, IL. 25 March 2011. It may have acquired second generation primaries more or less around the time of the second prebasic molt (1st summer). The older, outer four primaries, would therefore be retained from 2nd basic. 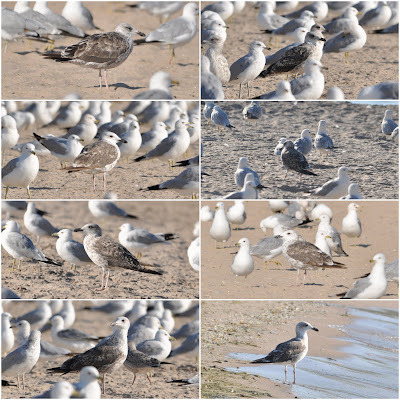 The newer primaries, P1-P6 may be 2nd alternate (2nd winter), which presumably were acquired via an incomplete prealternate molt (on the wintering grounds?). Whether or not PA2 is incomplete or suspended is beyond the scope of this post, but it's obvious P1-P6 are newer than P7-P10. It may just be that primary molt will resume with the outer primaries once this bird settles down for the breeding season (just as in the LaSalle County bird above). The only confusing consequence of my explanation is whether a first cycle Franklin's can migrate to South America and back to North American with its first basic primaries (i.e., its juvenile primaries). One has to wonder whether this bird ever migrated as far south as the majority of Franklin's do during their first winter. Or perhaps it roamed the interior during its first journey back north, never making it to the breeding grounds in the northern Great Plains or the Prairie Provinces.